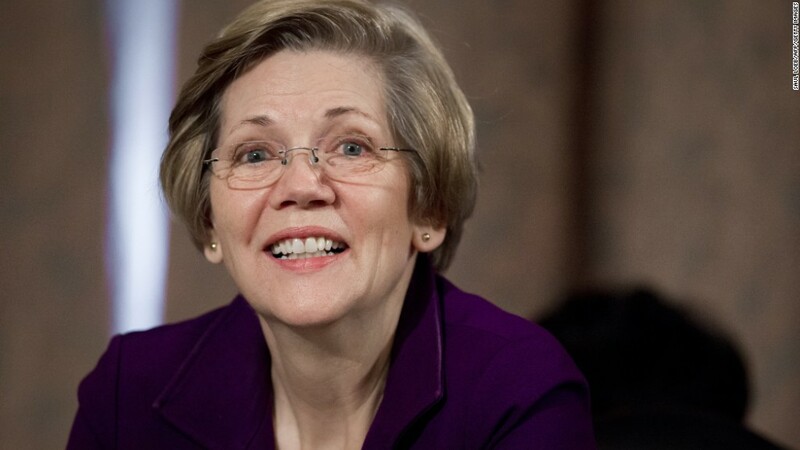 Senator Warren calls Wells Fargo scam a "staggering fraud"
Get ready for fireworks next week when Elizabeth Warren grills Wells Fargo's CEO over the bank's mind-boggling creation of millions of fake accounts. The powerful Senate banking committee plans to hold a Wells Fargo (WFC)hearing on September 20 at 10 a.m. ET, according to the office of Senator Richard Shelby, the committee's Republican chairman. Wells Fargo CEO John Stumpf has accepted an invitation to testify, a spokesperson for the bank told CNNMoney. "We are prepared to provide the committee with information on this matter and to discuss steps we have taken to affirm our commitment to customers," the Wells Fargo spokesperson said. The news comes after Warren and four of her Democratic colleagues in the U.S. Senate fired off a letter on Monday demanding the committee hold "immediate" hearings to "fully investigate the matter." "This was a staggering fraud," Warren told CNN last week, adding that she's skeptical Wells Fargo management was unaware of illegal activity of this scale. "Come on...this went on for years and they didn't smell anything in the air about fake accounts?" she said. Wells Fargo is being asked to turn over documents related to the scandal. After meeting Tuesday with Wells Fargo President Tim Sloan, Rep. Elijah Cummings, the ranking member of the House Oversight Committee, requested a batch of documents on the bank's sales practices and the salaries and positions of those fired for improper sales tactics. Cummings also asked Wells Fargo to justify the huge $124 million in stocks and options that community banking head Carrie Tolstedt is set to walk away with when she retires at the end of the year. Tolstedt led the division that created millions of fake accounts, and Cummings asked if her pay will be "clawed back."